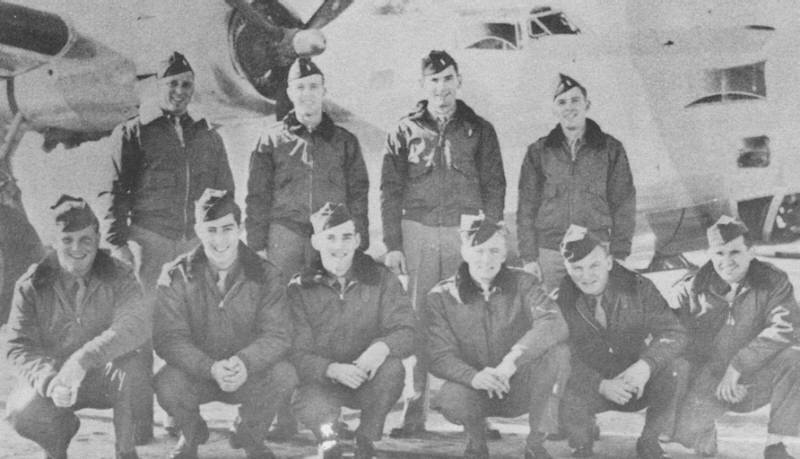 The Stanley Martin Crew while in stateside training with a B-24M in the background. Standing L-R: Stanley Martion, Raymond Swan, Earl Colebank and William Robertson. Kneeling L-R: Joe McCarrick, Jerry Becker, Ed Logan, P. T. Walker, Ned Piency and Andfy Oschack.